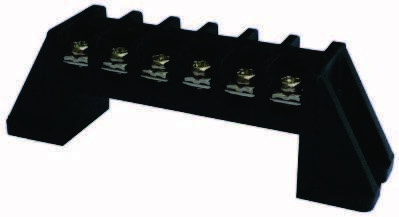 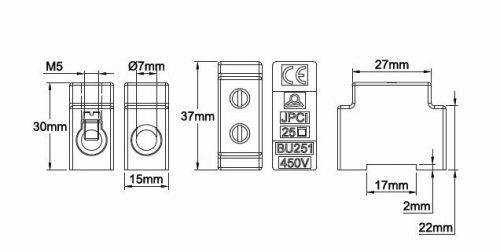 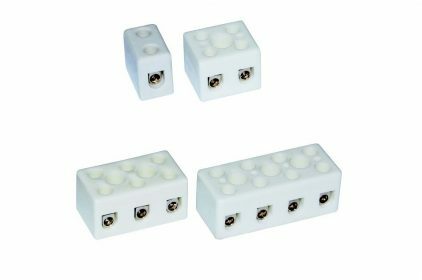 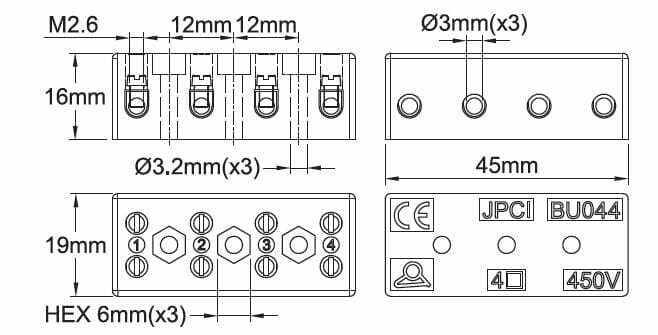 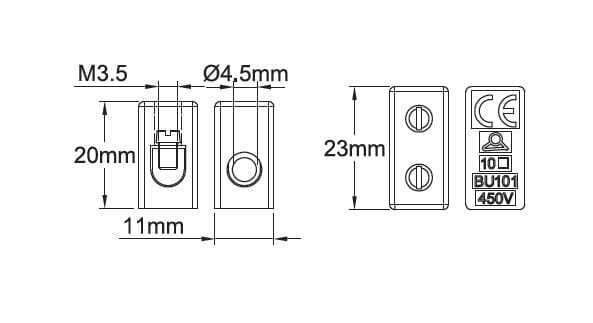 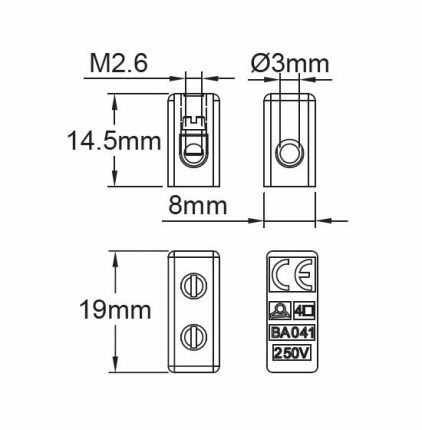 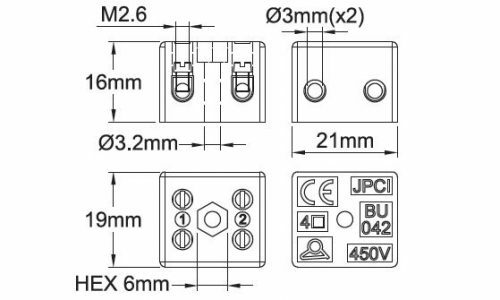 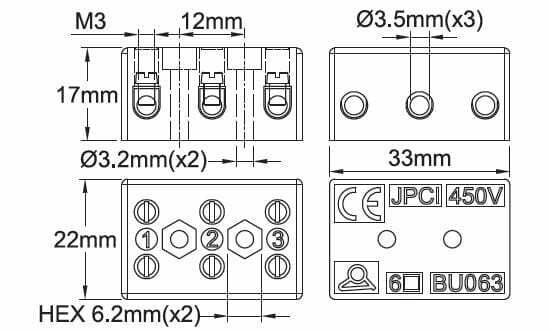 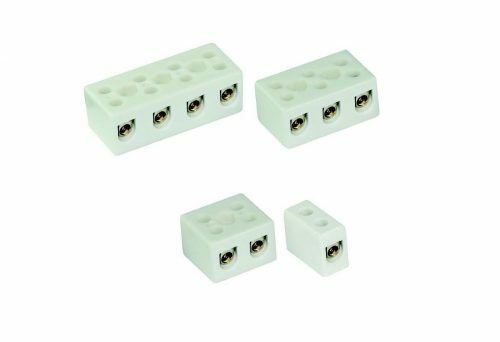 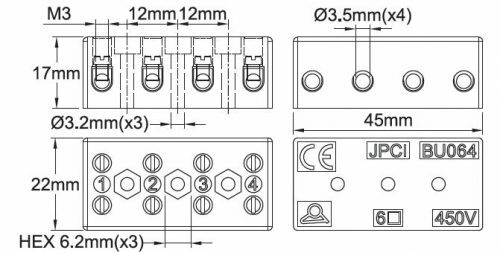 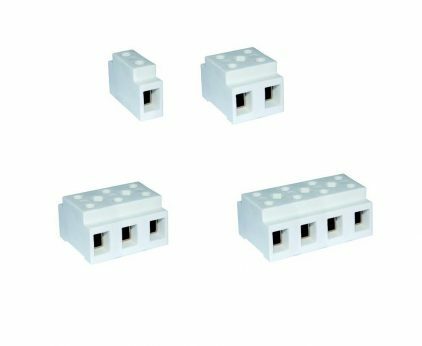 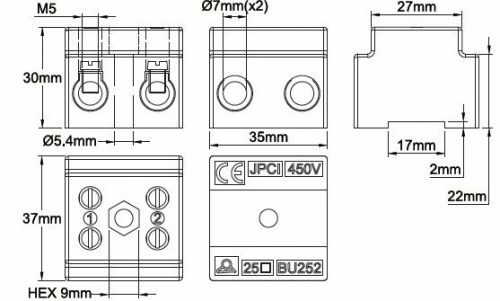 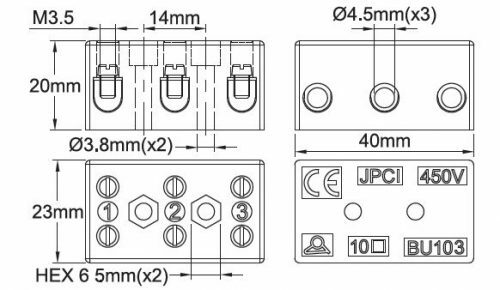 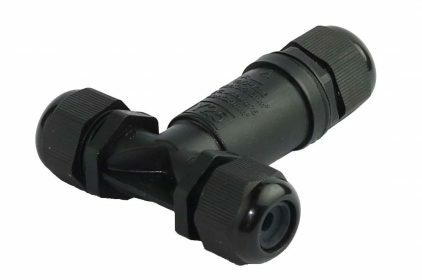 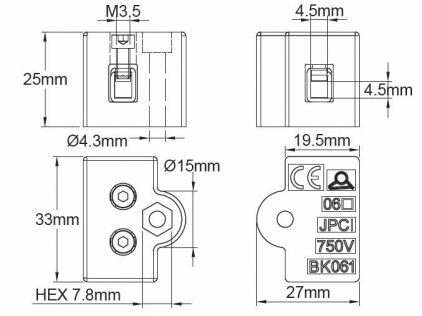 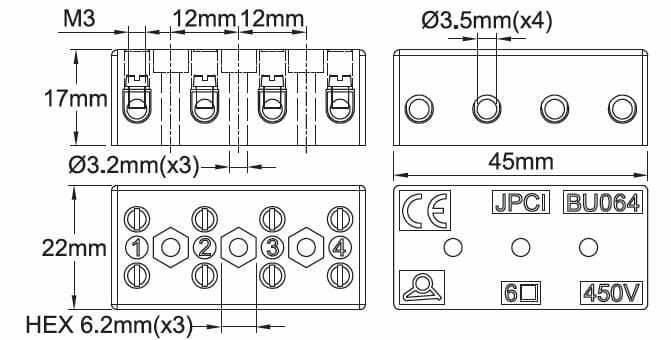 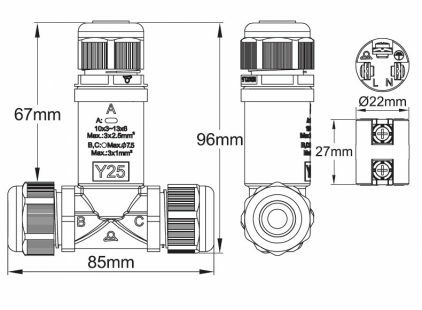 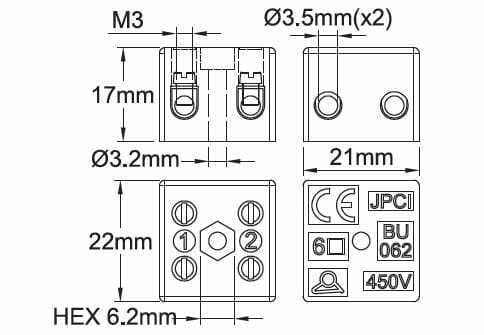 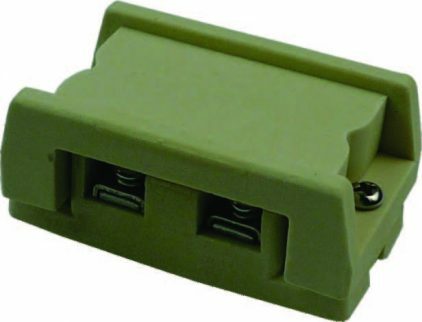 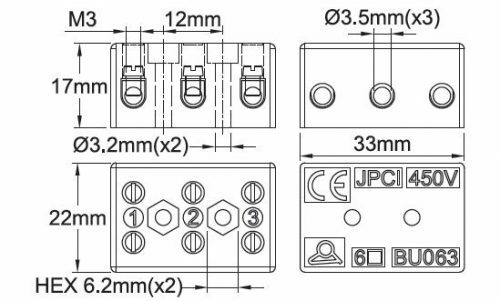 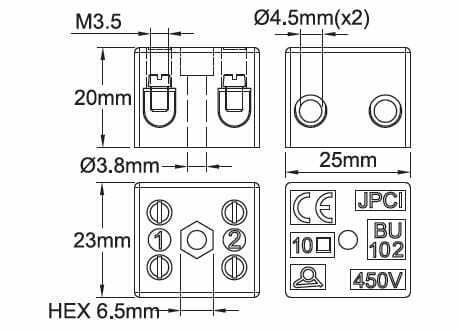 Applications: These high-quality terminal blocks allow efficient and easy wiring of halogen lamps, heating elements, infrared heaters, quartz tube heaters, as well as for the wiring of ovens, and professional catering and cooking equipment. 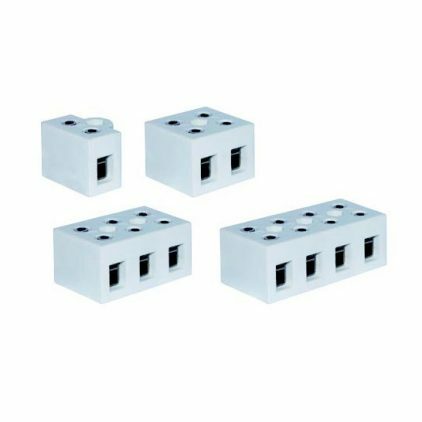 Thanks to their construction, they are non-flammable and resistant to temperature and humidity without losing their electrical and insulating characteristics. 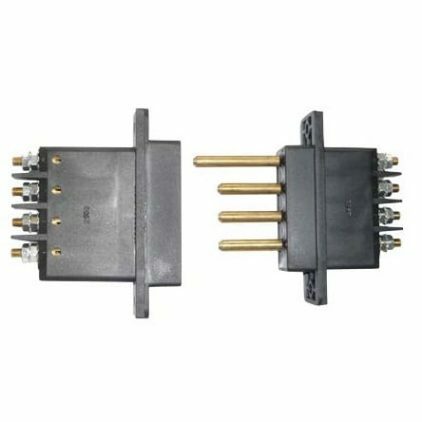 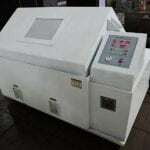 They are built according to the specifications of IEC 60998-1 and IEC 60998-2, for a maximum voltage of 450V. 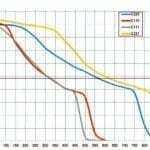 The insulation values with respect to the earth are approximately 2 times greater. 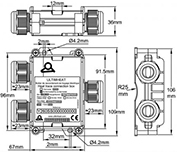 The EN 60998 standard imposes an insulation resistance greater than 5 MΩ. 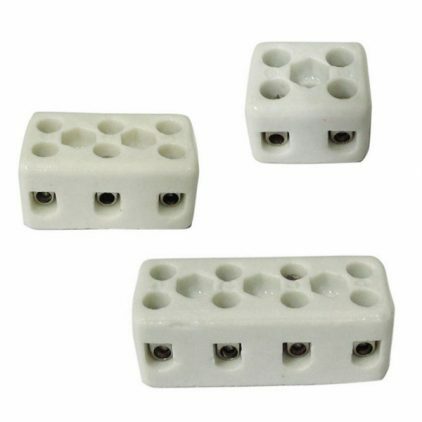 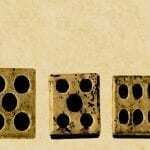 Their insulating characteristics are therefore about 20 to 40 times higher, including at 400°C (750°F). 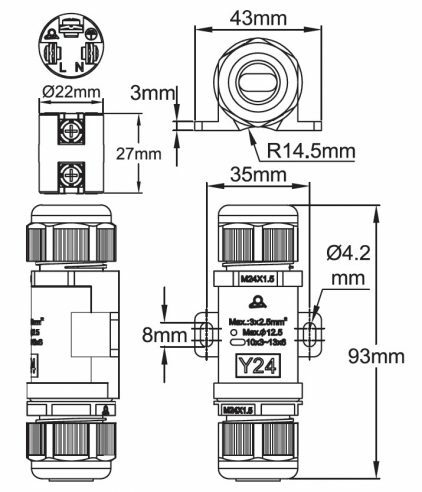 Maximum operating voltage: 450V, in pollution class 3. 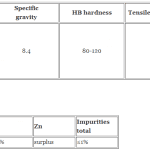 (Pollution class 3 defines micro-environmental conditions causing conductive pollution or non-conductive pollution that may become conductive if condensation occurs). 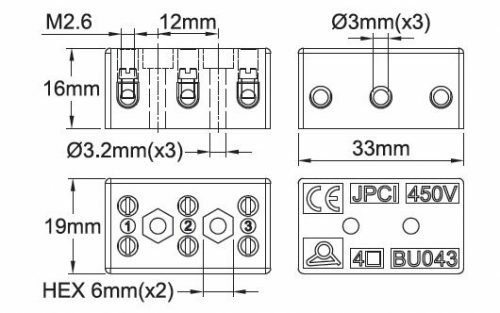 Insulation distances: Greater than 4mm between mounting face and terminals, between terminals, and between two connection blocks mounted side by side. 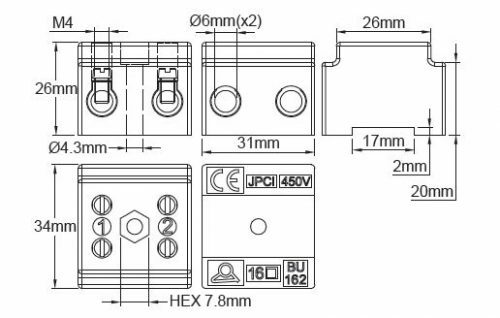 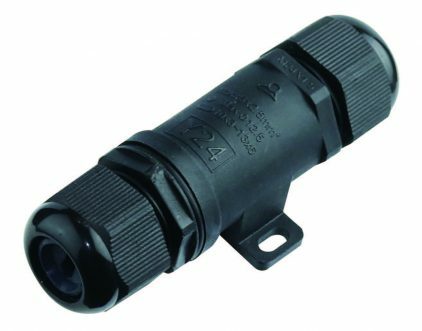 The temperature resistance values of the brass connector were validated by pull tests of the wires according to EN 60998, carried out after 48H at 230°C (450°F) or 90 minutes at 450°C (840°F).